Join Rina Jakubowicz as she shares Yoga secrets for finding and maintaining balance both in Yoga practice and daily life. Gain strength and clarity as you find balance in your body, responsibilities, and priorities. Explore techniques and alignments that will enhance your proprioceptor awareness and help you feel confident and safe as you expand your physical practice. This weekend will include arm strengthening sequences that will build your foundation to work up to strong, solid arm balances. Discover the differences between arm balancing poses such as Crow Pose and Crane Pose, and learn methods to conquer any arm balance that challenges you. Rina will also guide you through sequences designed to build your core, back, and leg muscles that will help you master leg balances. Find greater stability in all of your standing balancing poses, from Tree Pose to Dancer’s Pose. Not only will you leave this workshop with skills for better physical balance, you will learn how Yoga can help you find inner balance in your life, your relationships, and your work. 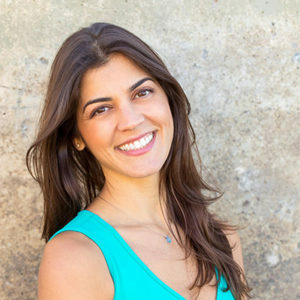 Rina will reveal her tips and techniques for optimizing time management, overcoming fear, finding peace amidst chaos, and connecting with community. This workshop will be the perfect combination of playful fun and deeper connection with your inner Self.